Look into the Tory Burch Rodeo Drive collection in celebration of the new flagship store in Rodeo Drive Southern California. It is basically a wardrobe inspired by the timeless Californian vibe of the Palm Springs culture in the 60's and 70's. 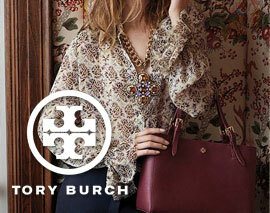 Tory Burch offers a film by Lisa Eisner and photographed by Noa Griffel. One of the featured model is Sofia Krawczyk. The collection includes details of intricate hand-beading, threaded embroideries, Rodeo flower beaded drop earrings, floral motifs and tunics. "TORY BURCH Rodeo Drive Collection" "TORY BURCH" "Lisa Eisner" "Noa Griffel" "Sofia Krawczyk" "FashionOne" "Fashion One" "Fashion Entertainment" "Fashion Model" "Runway" "Beauty" "Music" "Fashion One TV" "Designers" "Fashion Designers" "Style" "Collection" "Fashion Show"